Gretchen Miller is an artist and art therapist based in Ohio, USA who I have known online for a few years now. 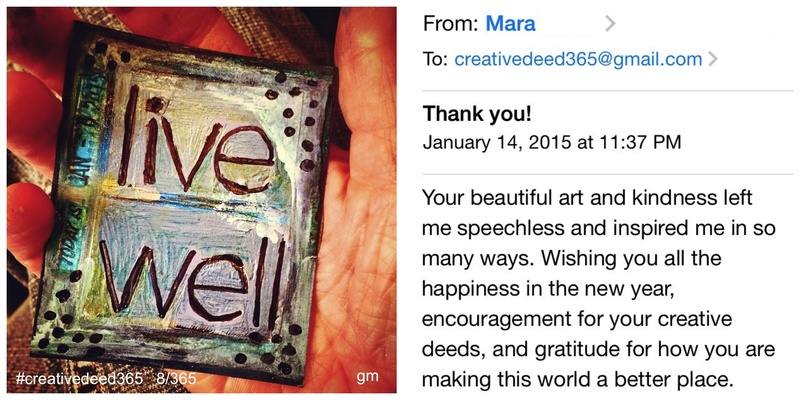 Here I interview her about ‘Creative Deed 365’ daily art making project. She shares where the idea for the project came from, how she managed to juggle making art every single day whilst also traveling and working, and what inspires her with her daily creativity practice. Hi Gretchen, great to have you here today, can you tell us a little bit about your daily art project, Creative Deed 365? This project ran through 2015, and it combines daily art making with online connection and the idea of giving. 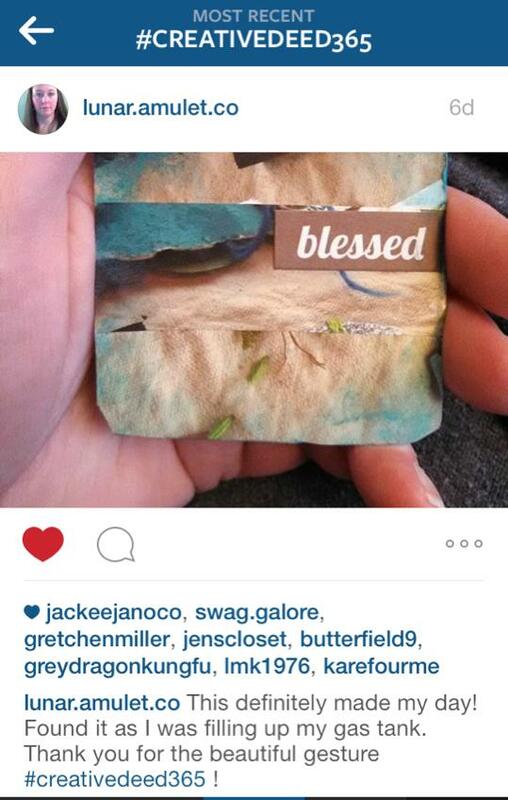 Basically I made a small piece of art every day, often with inspiring words and quotes, and left it for people to find, or gifted it to people I knew. I also invited others to join me in the project, and set up a Facebook page for us to share what we were creating. I first embarked on an art making everyday in 2013, and then did it again in 2014. It was really great to see all that art accumulate over the time and I still have it in my creative space, and see it and get excited by it. But last year, 2015, when I decided I still wanted to do a 365 art making project I didn’t feel as draw to keep the art, instead I wanted to find a way to share it with others and give it away. Not only to get the benefits of doing the creative practice each day for myself, but getting to pass that on to others. You did! It was great! Right, so you know it was really nice to be able to engage with others with the project. It was different to past years where I would share a lot of the work I was doing on social media and get feedback and interaction but this took it to another level, because people were creating their own creative deeds and sharing them in different ways. It was just inspiring to see what people were making and doing in their part of the world. The creative deed theme was inspired by an online workshop I did for 6 Degrees of Creativity in 2014, that the whole concept of creative deed was doing something creative or art based that was good or kind for someone else. So just kind of tagged on the 365 because this was doing creative deeds every day. I thought it was really great that people would come in and out, you know some people would confess like ‘oh I haven’t been able to..’ and that was totally OK. It was a safe space, for whatever that meant for that person. Sheila Lorenzo who is an art therapist in Florida, I think she did totally every day, 365, and shared it on social media, which was really inspiring to see. Like doing the same sort of concept together even though it was done differently in some ways, was really neat too. To see those images come through in a concentrated place, in that particular group. Everyone’s support for each other was really cool too. 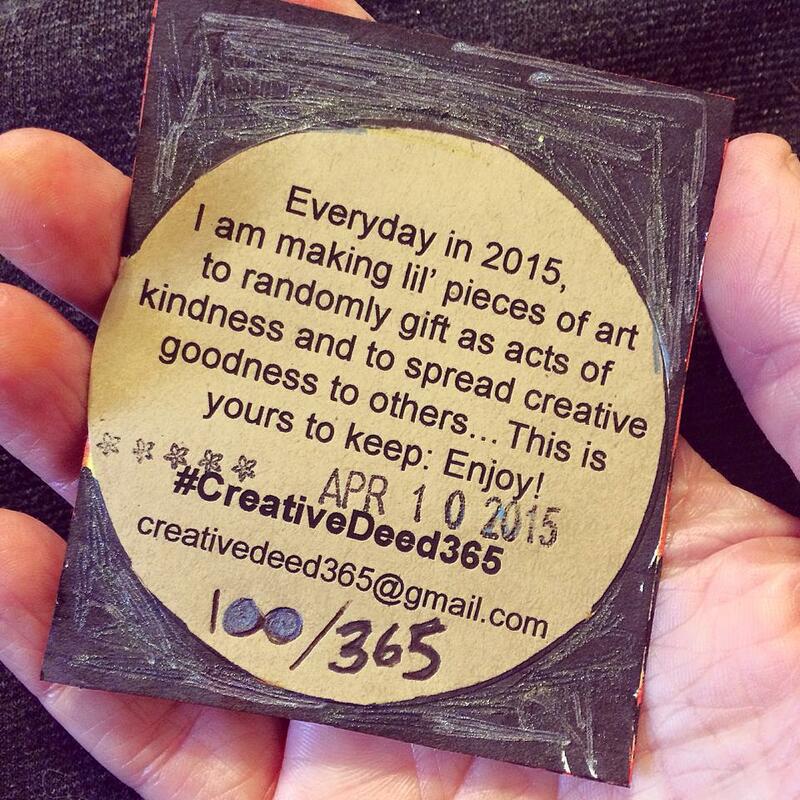 Some of the 365 artworks made and given away by Gretchen Miller during 2015 as part of the ‘Creative Deed 365’ project. Where there any unexpected delights in doing the project? One absolute delight was finding out where they ended up. I created a label to put on the back of the cards explaining the project and saying that this was their to keep, and I included an email for the project and also a hashtag #creativedeed365. I was really delighted when people who found the deeds would share the art online and I would discover that. It was always super exciting! I would search for the hashtag on Twitter or Instagram. There were also a handful of people who would email the gmail address. It was just really cool to know that it was in somebody’s hands, knowing that it had found its way somewhere. That was always unexpected in a really good way. What about challenges? Did you experience any difficulties in completing the project? There’s always the challenge of time. September and October in particular were really busy and hectic, there was a lot going on. There’s never really been a time when I’m like ‘forget it, I’m not doing this today’. Even if I’ve been sick I do it because something seems missing if I don’t. But that particular period was so busy I was thinking ‘how am I going to fit this in’ but at that time, it was even more important to do it, even though it felt like there wasn’t a minute to spare. That’s a lot of why I do this – to take a moment to slow down, to take a moment to pause, to breathe and be focused on just that act of art making. So those two months in particular really stand out to me, that brought it back home to me about why it’s so important for me to do it. 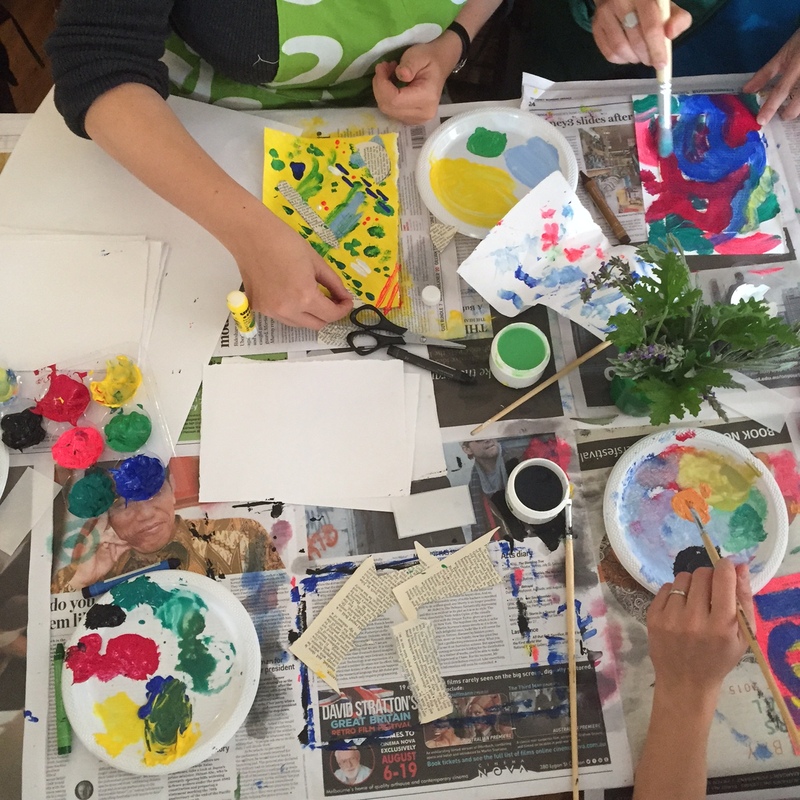 Did you come up with any useful practical ways to squeeze art making into your day? 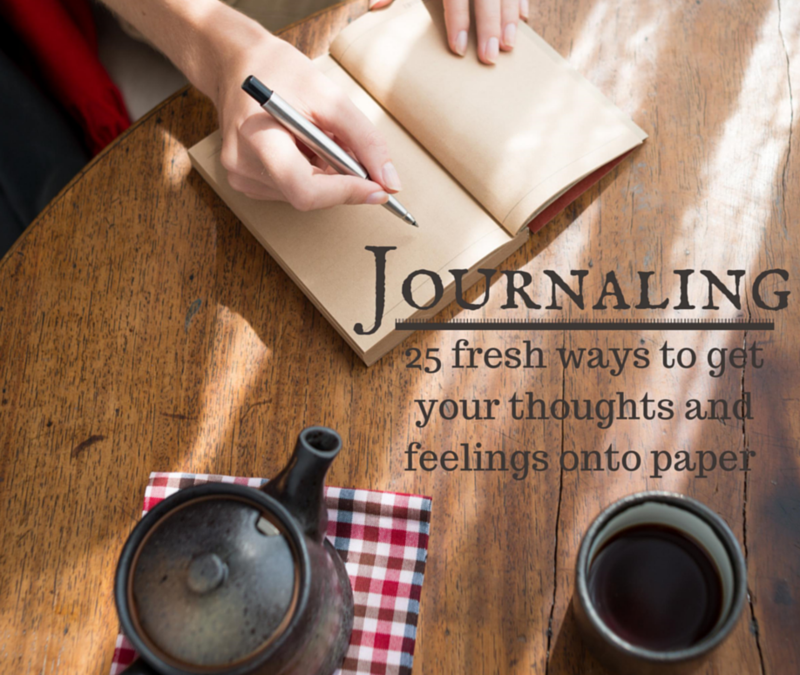 Was it something you did while the kettle was boiling or in your car? For all of these daily art making projects I carry around a mobile art making pouch with different materials in them. You sent me a whole bunch of different collage bits and pieces last year, I remember carrying around in the envelope, and some other things along with a sharpie and a gluestick, things I might commonly use, no matter where I’m at whether that’s during lunch when I’m at work or waiting for an appointment somewhere wherever that may be, it’s in my bag and I can pull it out and work on it. I think that that practical step has really helped me a lot to be consistent with the practice. In those months I tried to be really mindful of having quite a bit of stuff in the stash to choose from, and to take it with me most days. I notice your work is collage based and you also use a lot of words. Can you tell us about that? I use a lot of magazine photo collage images and things I’ve been gifted, different paper stashes that I have, which is great, because it might be things I might not normally choose or pick. I also like to use gel pens, sharpies, paint markers. If I’m more at home and not on the go I’ll use distressed ink pads, paint, regular stamping inks, especially if that stamp pad is not in great shape anymore for stamping you can really distress the surface. And adhesive, like stickers, letters, rub on transfers, I have a huge stack of those of different sizes I would use. And definitely a glue stick. I should count how many glue sticks I’ve gone through each year. I’d be like ‘oh my gosh, this one is done already? wow’! And also the labels that would go on the back, I would print out a new sheet each week. Sometimes on social media I would also include a quote that I would choose, inspired by the image, and sometimes I would write it on the back, around the edge of the card. It was an inspiring part of the process for me, to look up a quote to summarise, not so much the image, but the intention of the card – like hope, or you being awesome. Can you tell us a bit a bit the process of giving them away? Was that hard, were there any you wanted to keep? I hung on to a few of them, but most of them I distributed someway as planned. I would leave some in public places, mailing them out to others, I gave some as random gifts to people I knew, either through the mail or leaving it somewhere. Who knows what happens once you give them away. I was completely OK with that at the beginning – if the card didn’t end up in someone’s hands, but just kind of blew away, or ended up in the garbage, or was in the street disintegrated, I was Ok with that, because it was more like the intention to the world, and that sort of energy. Whether somebody received it or not. I mean it was great when that would happen but if it didn’t that was OK with me too. I definitely have my favourites – I did a blog thing about my 10 favourites. But it was definitely lesson in letting go, and the purpose is what you are giving to others, whether that is something you know about or not, or happens or doesn’t, is OK.
Gretchen M. Miller, MA, ATR-BC, ACTP is a Cleveland based Registered Board Certified Art Therapist, TLC Advanced Certified Trauma Practitioner, and Adjunct Faculty for Ursuline College’s Counseling and Art Therapy Program. Her clinical work includes working with at-risk children, adolescents, and adults. Gretchen enjoys finding inspiration, creating positive energy, and discovering transformation by working in mixed media, collage, altered art, art journaling, as well as organizing art exchanges and creative collaborations. Her online art making community, 6 Degrees of Creativity unites concepts of social networking, connecting, collaboration, and creativity into an engaged global community of artists spreading creative goodness. She also serves as Community Organizer for the Art Therapy Alliance, a network dedicated to promoting art therapy, the work of art therapists, and build community through social media. 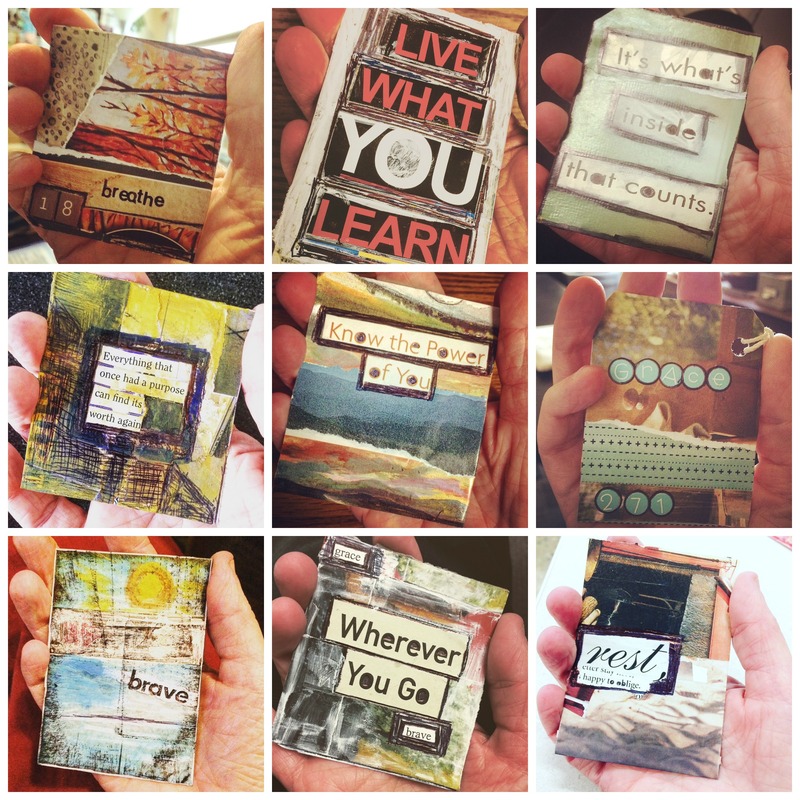 You can learn more about Gretchen’s art, projects, and creative interests on her blog Creativity in Motion. Jade Herriman, BSc, MSocSci, DipTAT is a Sydney-based Barbara Sher coach, facilitator and transpersonal art therapist. She works with clients to help bring more creativity into their lives, plan for their professional development, manage big life change and go after their dreams. 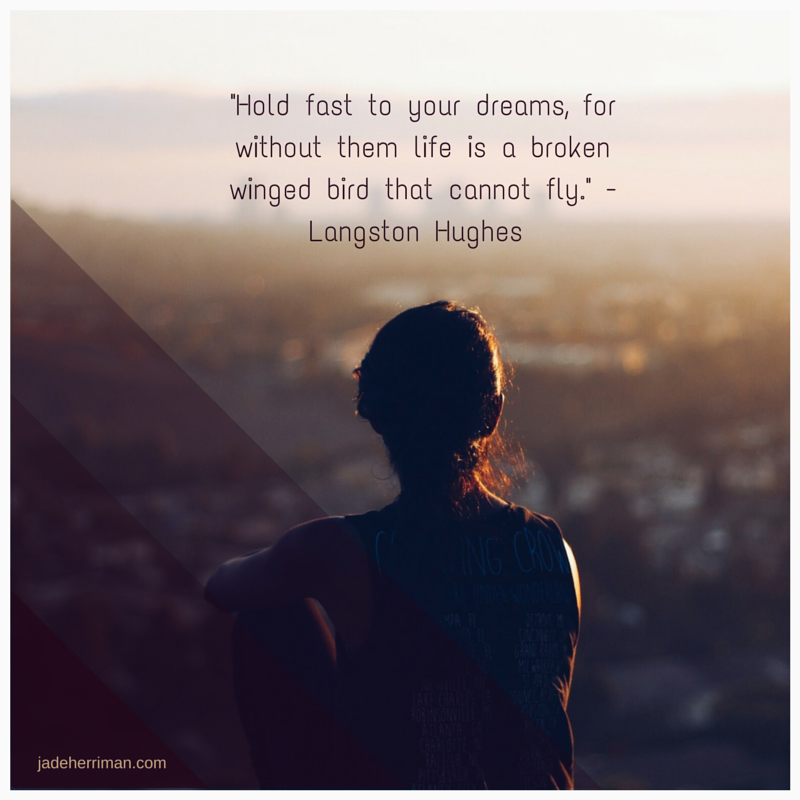 She works with groups, individuals and online to deliver workshops and help support people work towards their dreams. She is soon to host an online Idea Party which you can learn more about over here. 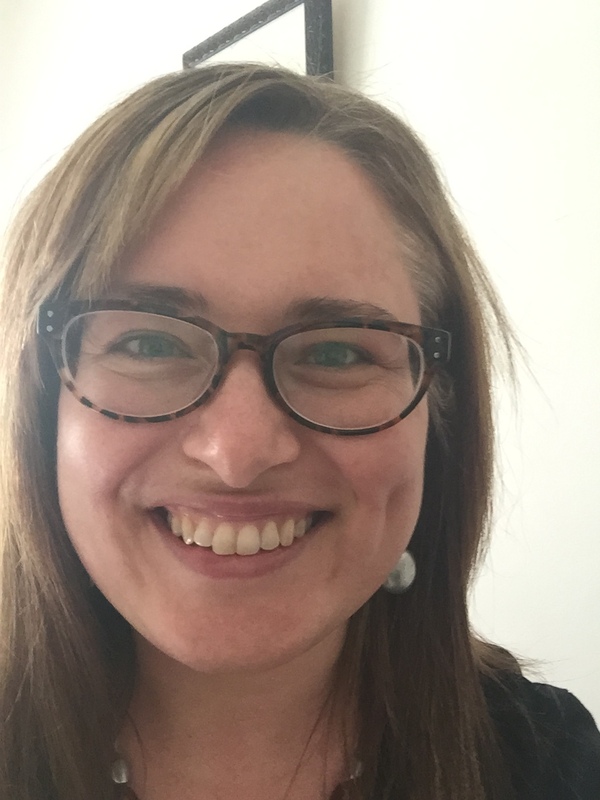 She brings a playful, flexible and creative approach to serious issues, and draws on many years of experience working in organisations in project management, policy and research roles to bring practical solutions to her clients. Jade is running a 6-week Women’s Wellbeing Group on Friday mornings in Sydney. The next face to face group is starting Friday the 19th January in Glebe, Sydney. To find out more or get your ticket see here HERE. This was so interesting, Jade! I like the idea of doing something small every day for an entire year and the added element of intrigue regarding where the items eventually land, is very compelling. Thanks to both of you.